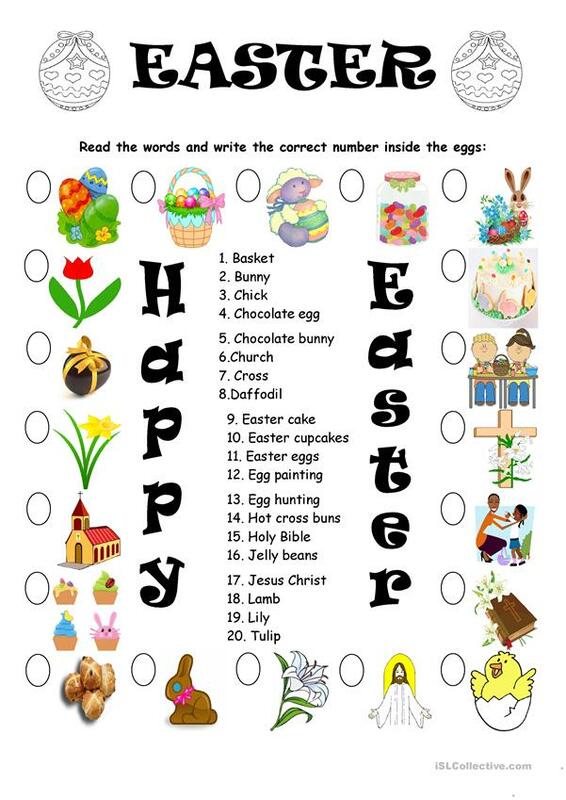 With this worksheet, students will be able to learn some vocabulary related to the Easter seaon. They need to read the word lists and write the appropriate number inside the eggs which are near the pictures. The present downloadable teaching material is a great resource for elementary school students and kindergartners and nursery school students at Beginner (pre-A1), Elementary (A1) and Pre-intermediate (A2) level. It is useful for improving your class' Spelling, Reading and Writing skills. It centers around the vocabulary topic of Easter.